Personalization: Please let us know at checkout the names you would like added to the flasks and if you want plain, groom or groomsman. Details: Black matte Mustache flask which can hold 6oz, comes in plain, groomsman or groom. Personalization: You can add a name up to 15 characters on each flask. 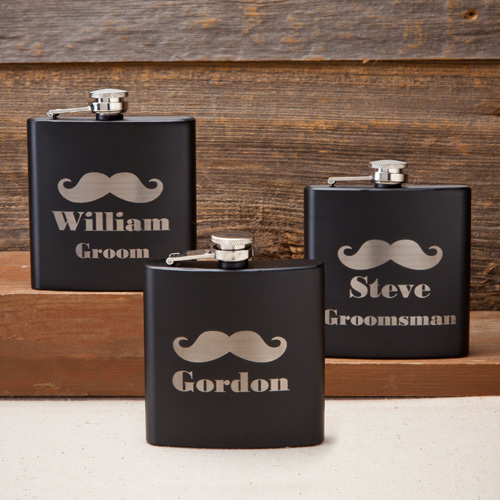 Order 5 Mustache flasks - one for your groom, one for your dad and his dad, plus two groomsmen and the price is $18.74 each.